Stephen King just won’t let it go. 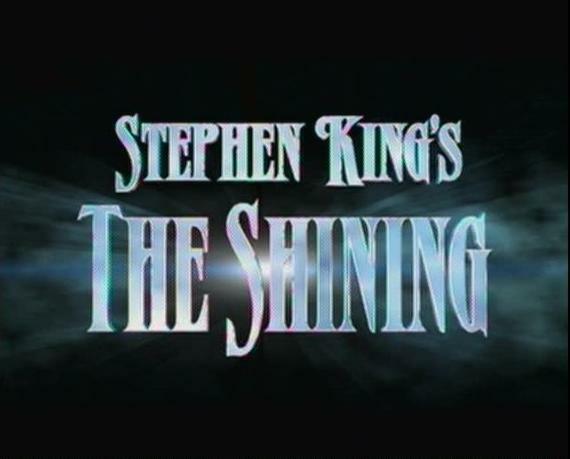 There is an ‘Author’s Note’ at the end of Doctor Sleep (2013) that, under the guise of clarifying that it is a sequel-by-popular-demand to his 1977 novel rather than to Kubrick’s 1980 film of The Shining, says of the latter: ‘many seem to remember [it] – for reasons I have never quite understood – as one of the scariest movies they have ever seen’ (483). The next paragraph does not proclaim the TV miniseries King himself adapted as superior to the movie, but it does sing the praises of his more-or-less-reliable-hack director Mick Garris’s Psycho IV, as if to trump Kubrick with a Hitchcock. It is coyly done, as if King knows it is not at all convincing. These two intertwined problems began to fill me with dread when the first episode started obsessing about the topiary animals, trying to make them ominous. Will they be brought to life as badly as the cgi hosepipe? How could the bush-animal attack sequences – presumably originally inspired by Ray Bradbury’s ‘The Veldt’ (1950) – possibly work? I generally find Bradbury overrated, but even I must concede the novel’s reworking of this material makes make him seem subtle. Garris very sensibly, if not very effectively, relies on camera movements, editing and switching-in props to bring the topiary lions to life. 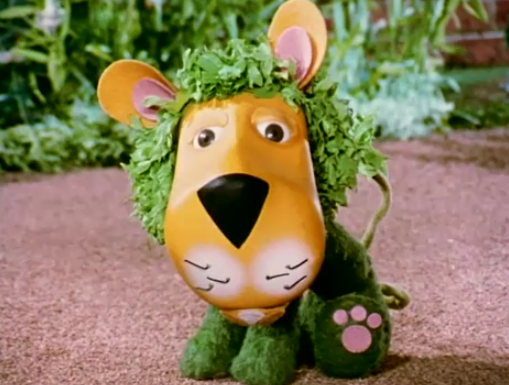 Until the ‘cliffhanger’ ending of episode two, the final shot of which shows Danny being stalked unaware by three cgi shrubs. (They do not appear again except fleetingly in the climax of episode three. Thankfully.) To be clear, this is not ragging on the special effects because they are bad, but because they are badly chosen. Generally, the physical effects work best, but there is something so amiss about the individual episodes’ and the series’ pacing that they too become a problem. The first couple of times a door opens or closes or an object moves mysteriously is fine, but you pretty quickly find yourself wondering whether it is always the same bloke hidden just out of shot pushing the door, how much he gets paid, what he had for lunch… Not so much ‘how did they do that?’ as ‘why?’ And it does make you wonder what exactly they spent the $25 million budget on. I guess, in part, the format is the problem. 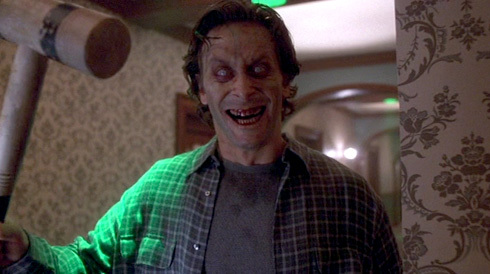 Economics dictate that a network TV miniseries made in the 1990s can’t be too scary or unnerving or disturbing, so the supernatural horror has to be blandly by-the-numbers and the domestic abuse material has to be displaced as far as possible. So I have a lot of sympathy for the cast. Winifred Torrance is a badly underwritten character in the novel – all I can really remember is King banging on about her breasts – and she is no better served by a script that slaps on a bunch of embarrassing clichés. Garris does not seem to have any idea what to do with her, and Rebecca De Mornay struggles. Indeed, in episode one, she even seems to struggle to walk across rooms, although she does do one brilliant bit of almost indiscernible crabstepping down a hotel corridor that is simply not wide enough to accommodate three or four actors walking abreast. Steve Weber, as Jack, has the easier job – do what Jack Nicholson did but not the way he did it. Even so, it is only when the later episodes allow Weber to ham it up that he becomes even remotely effective, and in the second half of episode three, this is largely down to his make-up – which gives him the appearance of a beaten-up, tear-stained clown. As Danny, basin-cut Courtland Mead clearly shares no genetic material with either of his parents. He looks like one of those profoundly unattractive children who used to get cast in Dallas or Dynasty for no reason other than that their dad was a producer on the show. 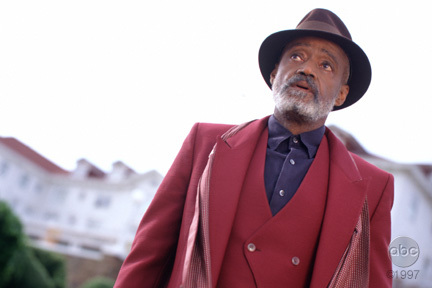 His performance does get better in the later episodes, and his unexpected ‘I love snow’ song is a bizarre delight, but I kept finding myself wondering whether the alcoholic, physically abusive Jack ever used his son’s enormous teeth to open beer bottles. Pat Hingle, as Pete Watson, is probably the only actor to escape with his dignity intact, professionally ploughing through this nonsense the same way he has done since the 1950s. 911 ain’t the answer, ma’am, only wish it was. Good to know that baadasssss is still out there.